Contact a designer. Let the designer outsource with a 50% markup or take the design file to a sign shop that informs you that the file won’t print as set up and you need to pay additional art charges to fix the file. Sign shop doesn’t mount or laminate or they can only print up to 24” wide files. Waste your time and get frustrated running around town or the internet trying to just get the job done in time! 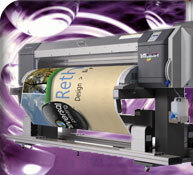 Design, Print, Finish under one roof. This is Universal’s solution with YOU in mind. Eliminate wasting your valuable time with multiple vendors who pass the buck or dealing with complicated web sites and praying for the best and that our project will arrive in time. We design files that will print perfectly or we'll make sure that your files do, on the substrate of your choice. Produce vibrant outdoor banners or retractable banners for trade shows, indoor signs and posters, all laminated, mounted and delivered on time and on budget! I am so impressed with Universal. They always manage to get our projects out the door On Time, no matter how behind we are!